You know how a princess can feel a pea through 20 mattresses and 20 feather beds? Well, not any more. Researchers in Germany have created the first mechanical invisibility cloak. When this cloak is placed over an object, the object cannot be felt at all either by your finger, or a more sensitive measuring device. This has obvious repercussions for the authentication of fairytale princesses, and also in the realm of camping (die, tree roots, die) and carpeting (cabling begone!) Personally, I hope someone takes this mechanical invisibility material and creates the world’s first sock that is immune to the terrifying strength of errant-in-the-night Lego bricks. If you’ve been following ExtremeTech for a while, you’ll know that we’ve covered plenty of invisibility cloaks, all of wildly varying form and function. There have been some “conventional” cloaks that hide objects from visible light, but also lots that cloak against microwaves, sound waves, and various other forms of radiation. 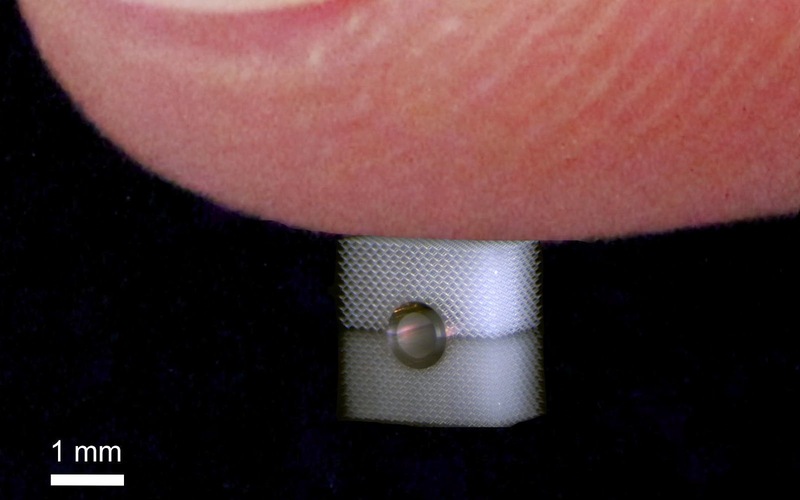 A mechanical invisibility cloak, however, is something new. This mechanical cloak, created by the Karlsruhe Institute of Technology (KIT) in Germany, much like most other modern invisibility cloaks, is fashioned from a metamaterial. 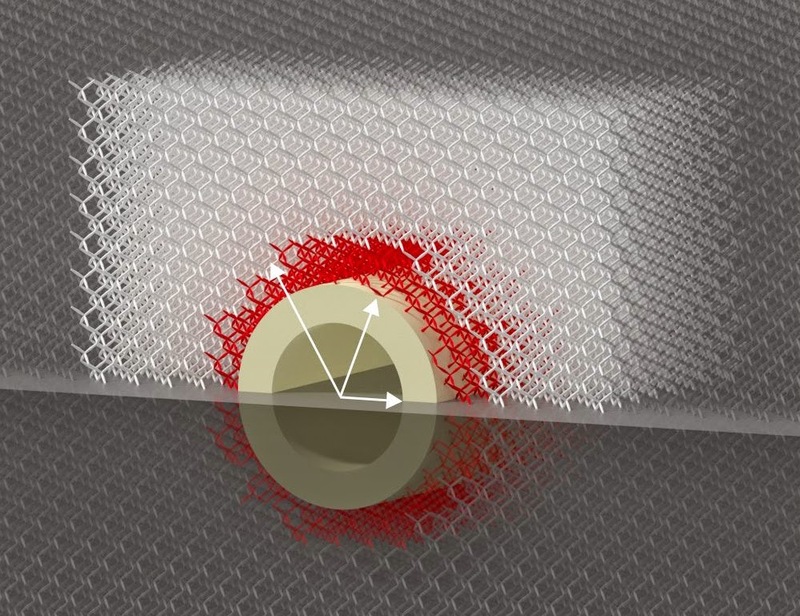 While an optical metamaterial bends light in a weird, not-seen-in-nature way, KIT’s mechanical metamaterial has a special structure that redirects physical force in a special way. KIT’s new metamaterial is constructed out of “needle-shaped cones” of polymer that are arranged in a crystalline lattice. 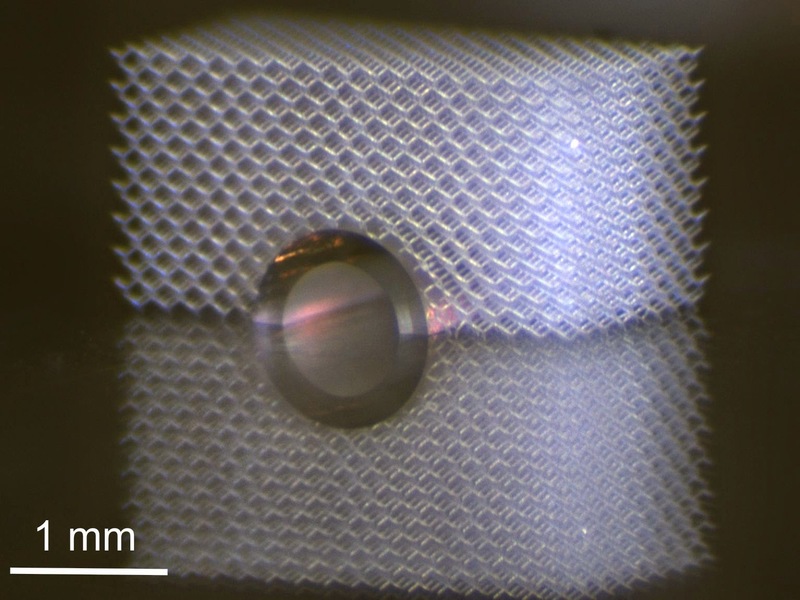 It sounds like the mechanical metamaterial starts life as a big lump of polymer, and then a 3D laser lithography machine creates the exact right shape. Unlike optical invisibility cloaks, which are still years (or decades) away from being commercially viable, a mechanical invisibility cloak is a much simpler proposition. Flawlessly bending millions of different wavelengths of speed-of-light photons around an arbitrarily shaped object is hard. Creating a large amount of material that weirdly mitigates physical forces is actually quite easy. I’m thinking camping mattresses that make tree roots invisible, carpets and rugs that perfectly hide cables and pipes from your sensitive toes, and perhaps socks that allow you to step on Lego bricks without cursing your deity of choice. If you can come up with your own cool ideas for a mechanical invisibility cloak, do leave a comment below. There’s no word on commercialization of KIT’s mechanical metamaterial, but the press release notes that we might see some “interesting applications” in the next few years. The machine KIT used to create the metamaterial, the 3D lithography Nanoscribe, only really works on the small scale. But hey, thanks to the last 60 years of computer chip development, we know a lot about lithography. It’s not too crazy to think that we’ll soon have a method of producing large swaths of mechanical invisibility cloak.